While remaining young at heart is admirable, science and our bodies (with physical evidence like graying hair and wrinkles) say otherwise. The older we get, the more care we need to take, especially when we treat back pain. Back care becomes more important as we age because of the effect aging has on how our bodies heal. According to Science Daily, studies are being performed on why aging “causes broken bones to heal slowly, or not at all.” The evidence is inconclusive so far, but research continues. Aging baby boomers demand answers, and a strained health care system needs some relief — back care costs about $50 billion in the United States alone, as 50 percent of working Americans report some type of back pain every year. Even if you are still active, your body’s ability to heal diminishes over time. It’s a natural process. Muscles shrink, tendons become more brittle and your ability to convert food into energy slows down. Your vertebral bones and discs become more fragile, which can lead to spinal fractures and curvature of the spine. None of this is destined to happen, but it becomes more likely as you age. You can help keep your body vibrant with regular exercise, a healthful diet and a positive attitude. Still, because advancing age reduces your body’s ability to heal as quickly, you must allow for a longer recovery time, whether you’ve just had a surgical procedure or are working through physical therapy. Accidents happen, and if you have broken a bone, ask your doctor to check if you are undergoing the onset of osteoporosis. If you’re older than 50, you may already be suffering from this disease. Osteoporosis causes your bones to become more brittle and susceptible to fractures. Most women are tested for the condition as part of their routine health care, but men are susceptible to the condition as well. While osteoporosis has few symptoms (until you break a bone), a bone mineral density test is easy and painless. It can determine if you have the disease. If you do, your spine physician at the Southeastern Spine Institute can help you take steps to prevent further breaks and fractures. If you have osteoporosis, bone doctors recommend that you take a calcium supplement. Calcium helps build strong bones, even if you are at an advanced age. Most Americans don’t get enough in their diets. You can buy supplements without a prescription at most drug stores. Vitamin D and more protein are other dietary suggestions to keep you healthy. Vitamin D helps your body absorb the calcium. Protein keeps your body strong and healing properly. If you want to heal faster and more thoroughly, increase the amount of protein you consume. On the other side of the dietary coin is sodium. Salt, the common form of sodium, causes your body to flush calcium in your urine. The more salt you consume, the more calcium goes down the toilet, so most doctors suggest a low-sodium diet for women 50 or older and for men older than 70. The physicians at Southeastern Spine specialize in back care, and they care about their patients’ overall well-being. If you are in pain, don’t wait until you break a bone. Come in to have a bone mineral density test to determine if you have osteoporosis. Only then can your spine physician develop an effective plan to treat back pain. Your age factors into your treatment plan. Obviously, spinal medicine is different for an eight-year-old than for a 68-year-old. 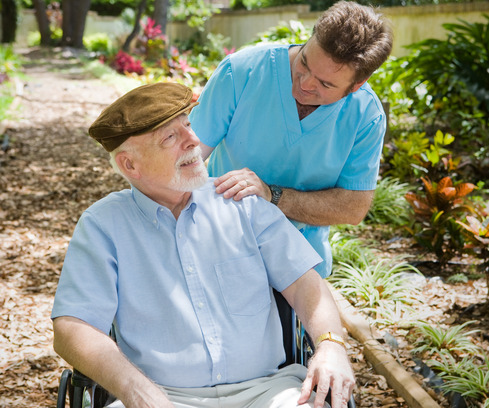 The specialists at Southeastern Spine understand the healing issues that come with age. They’ll create a plan for recovery that takes into consideration a host of factors — including your youthful attitude.